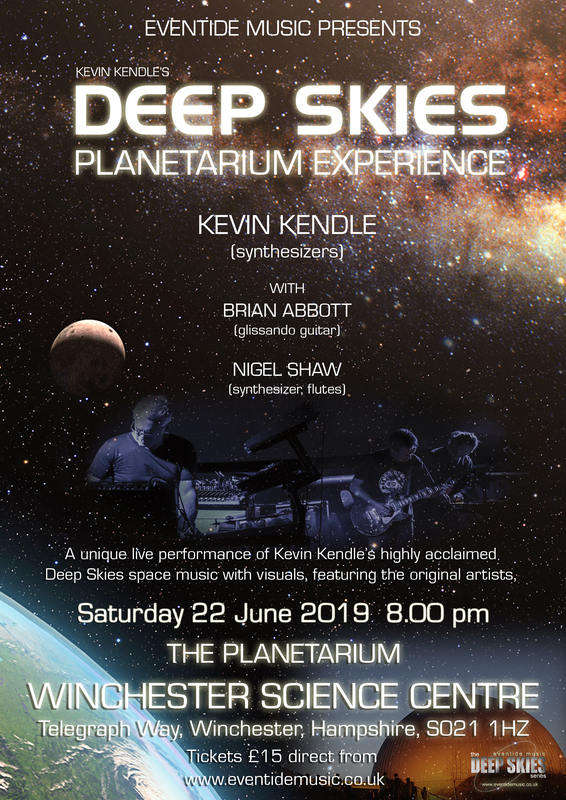 See Kevin Kendle perform music from his DEEP SKIES albums of space music LIVE in the extraordinary and immersive space of one of the UK's finest digital planetariums, at Winchester Science Centre in Hampshire. This is a unique opportunity to experience this celestial and moving music in an all-encompassing audio-visual experience, featuring breathtaking visuals and high quality sound systems. Also appearing will be the other artists featured on the Deep Skies albums, Brian Abbott and Nigel Shaw, in this unique and beautiful live performance of the Deep Skies music. Come and meet the artists, and hear the Deep Skies music as it's never been heard and seen before!